This is probably my simplest ,fastest and yet very tasty AND healthy meal option. 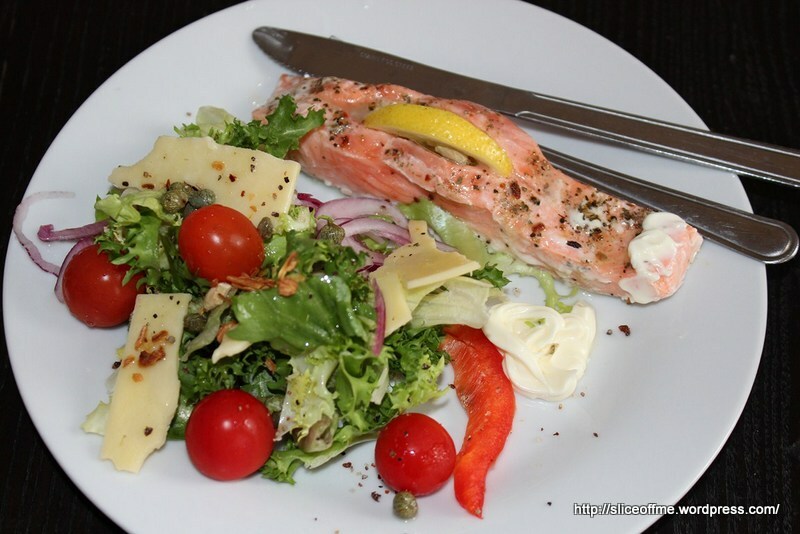 All you need is 2 slices of salmon some salad leaves and a hotch potch collection of any thing that can yumm up a salad! Few Minutes in the oven and hey Presto ! a healthy meal is ready to tuck in. What I love about the after feel of this kind of a lunch or dinner is that it leaves me full and satiated and not feeling bloaty or heavy or drowsy for that matter! So my ingredient list goes like this , but honestly for the salad just use any combination of leafy stuff and spices that you have in your fridge and cupboard and slam them together to make your own accompaniment! 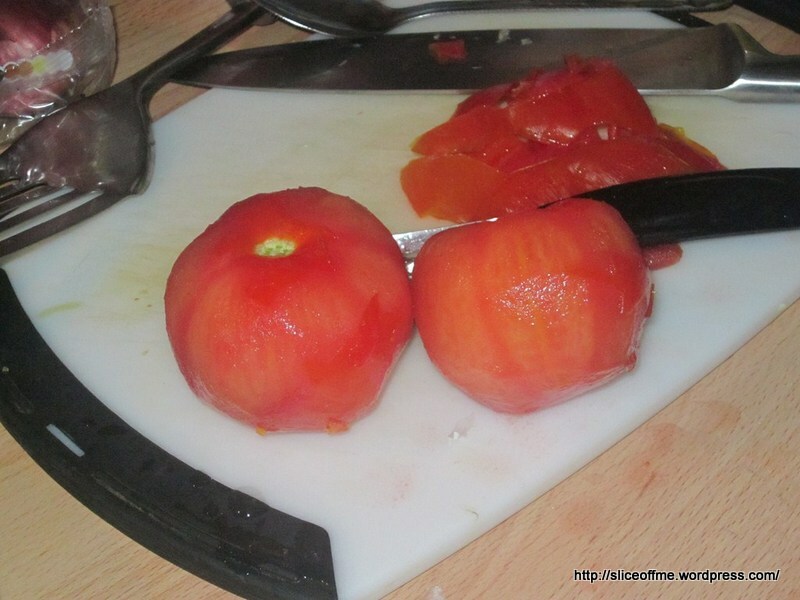 2 thick slices of lime to wedge into the fish and a large slice to splash over the salad. Salad leaves of your liking I use the mix leaves packets from the supermarket – rocket,spinach,lettuce mixed with some peppers and red onion sliced for some colour, crunch and taste. place the salom piece on a foil, lightly drizzle olive oil , wedge a slice of lime in between and sprinkle sea salt and crcaked black pepper and a generous sprinkle of italian herbs, mine came out of a bottle. 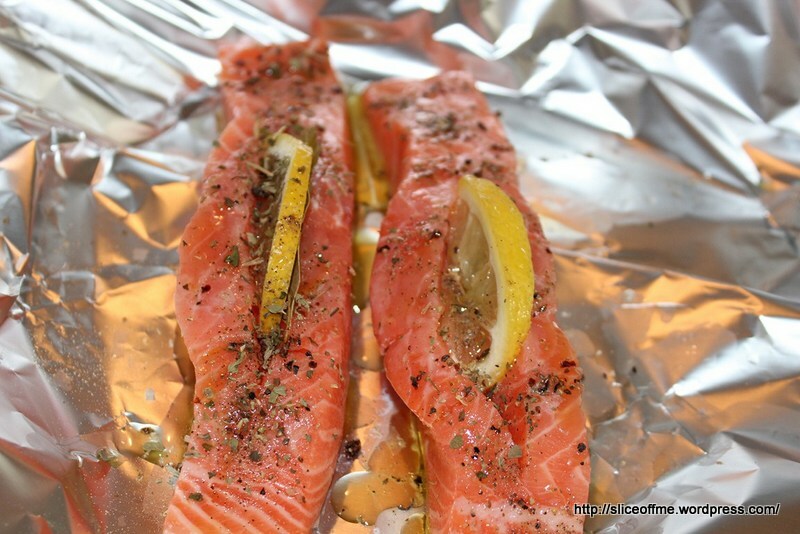 Give the Salmon just enough time in the oven to cook, fish cooks fairly fast and these 2 slices took less that 7 minutes in a pre heated oven. 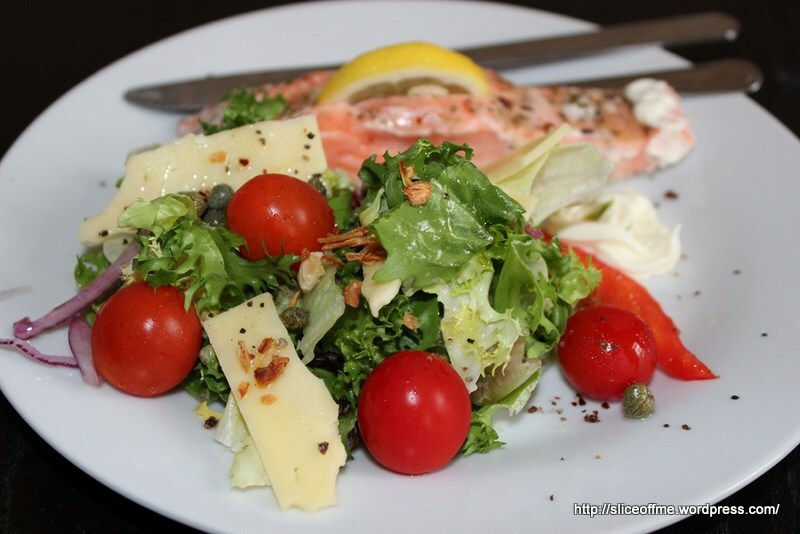 Once done serve the salmon alongside a generous helping of salad leaves and juicy cherry tomatoes,toss a few capers , tear some cheese to season, give another drizzle of olive oil and a big squeeze of lime ,finally add some crispy fried onion bits, finish off with sea salt. Dig in and feel full inside and light and skippity on a full stomach. 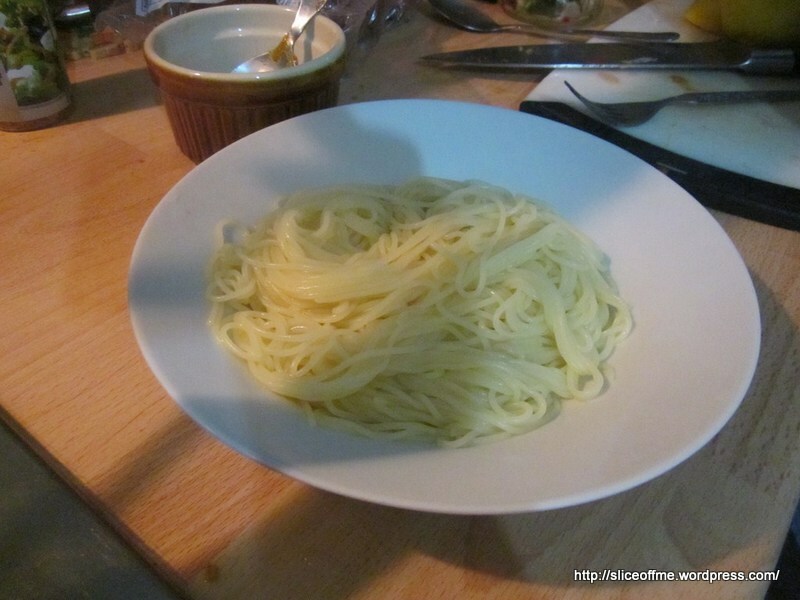 I loved the name of this recipe by Chef Delia and hubby was also so excited about eating that we went to supermarket that she endorses and got us some really nice White Cooking wine and vermicelli pasta which I used as ”Angel Hair”. The other thing about this recipe that I found appealing was that it was easy to make, serves 2 as a main meal if prepared with suggested quantities and is a really satisfying dish to both cook and eat! Why is it called Angel Hair ? Capellini Pasta literally means Angel Hair – because this pasta is the finest, thinnest… and when boiled it opens up and is so delicate , almost like how an Angel’s hair would be! Since it is a very light pasta it pairs well with sea food and is sold in nest like shapes that open up into silky strands on boiling …ummm perfect ! Ok my cheat sheet for this recipe , I used Thai red curry paste from a bottle but you can make your own too.As with other types of pasta, it is generally cooked until it is al dente, or firm to the teeth. I love this angel hair pasta as it cooks really fast and the sauces are taken up so well by the strands. 2 tablespoons light olive oil. 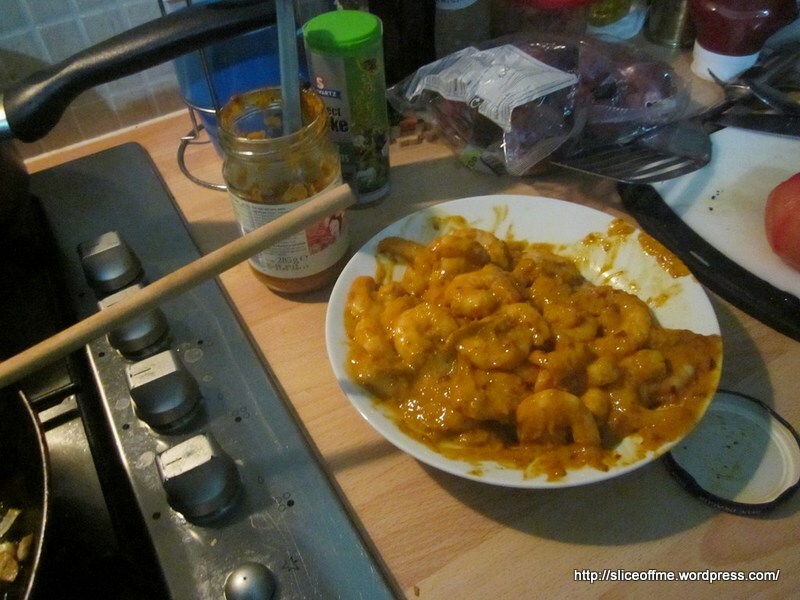 4 large tablespoons Thai Red Curry Past. For the garnish – 3 tablespoons fresh coriander finely chopped,fresh lime thinly sliced. Marinate the deveined prawns in the Thai Red Curry Paste and set aside for as long as you can before cooking the meal, as suggested by Delia for 4 hours in a fridge is ideal. 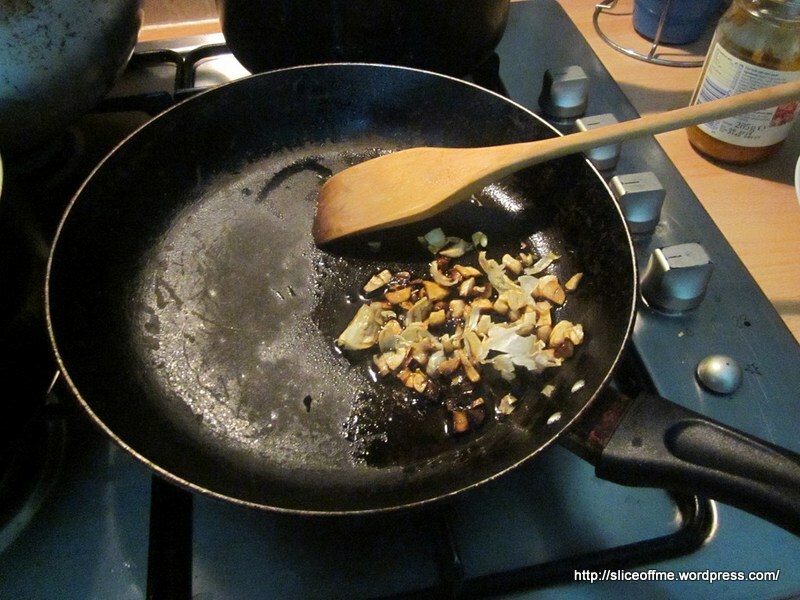 To start with the sauce ,add oil in a pan and the chopped garlic, fry till i is a beautiful golden brown and the kitchen starts to give away a delicious aroma that tantalises your senses…ummm , then go in the pan the lime zest and juice , the tomatoes and wine and on a high heat cook and eventually reduce for about 8 minutes. 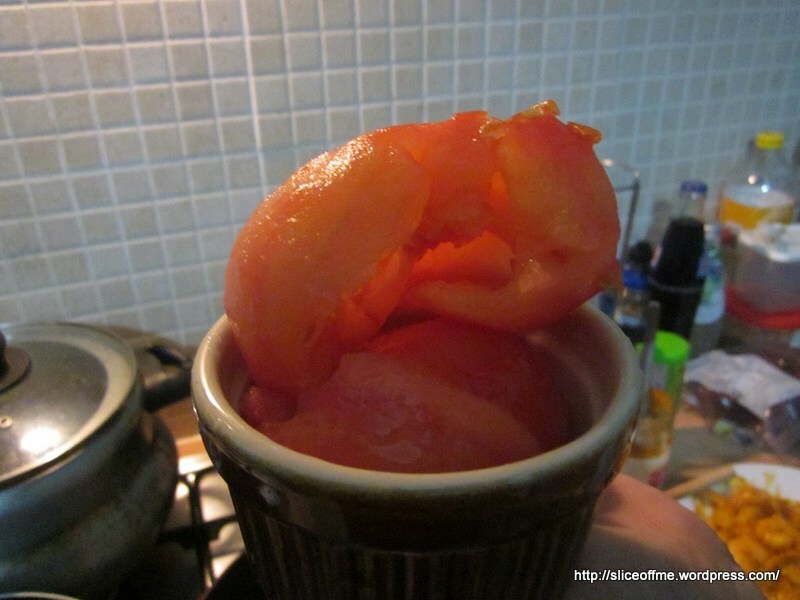 Now add the prawns and mix well on a high heat, then reduce to a low flame and let this bubble again for 3- 5 minutes. 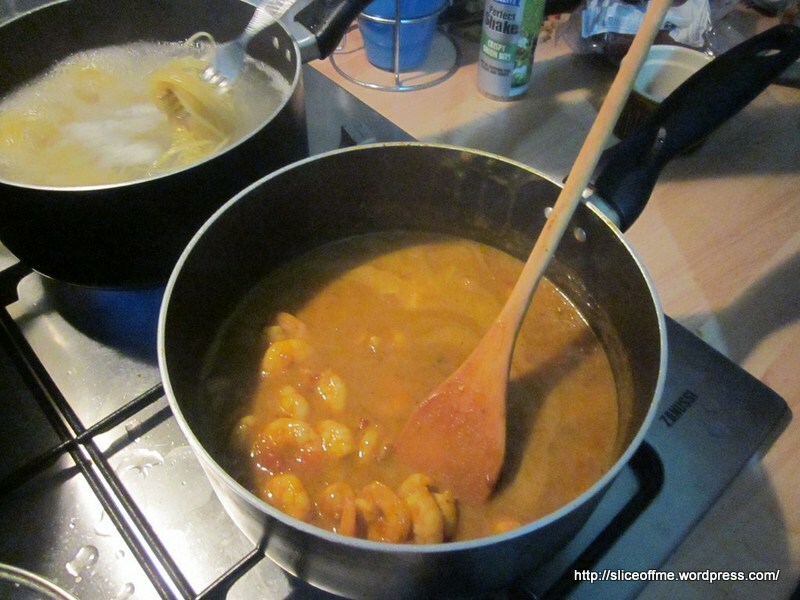 Turn off the heat once prawns are well cooked and cover and keep warm till the pasta is done as we have to be ready to serve this immediately when the pasta is ready , being thin it does not stay very easy to scoop out and handle once boiled. 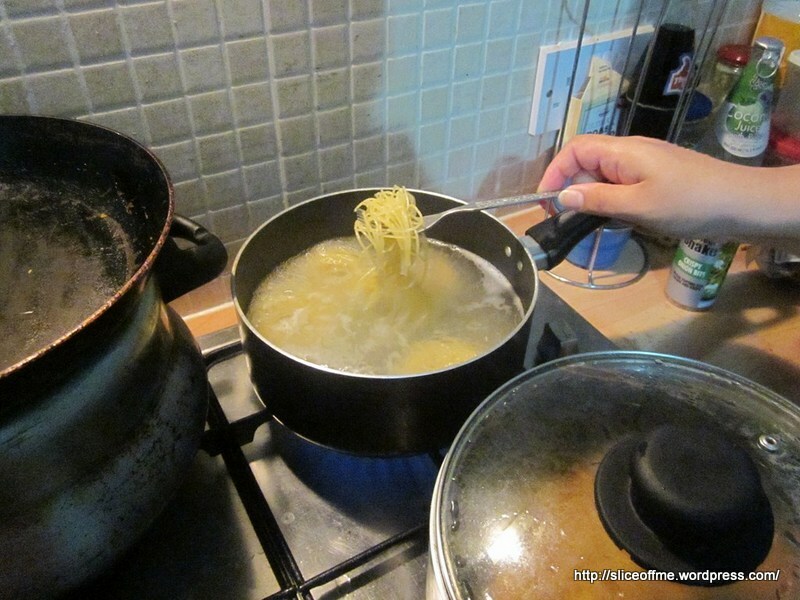 In a large vessel boil water with salt and cook the pasta , it is done in 3 minutes precisely. In bowls ready for serving spoon out the pasta ,whatever water comes with it , wil be soaked up by the pasta and the sauce. 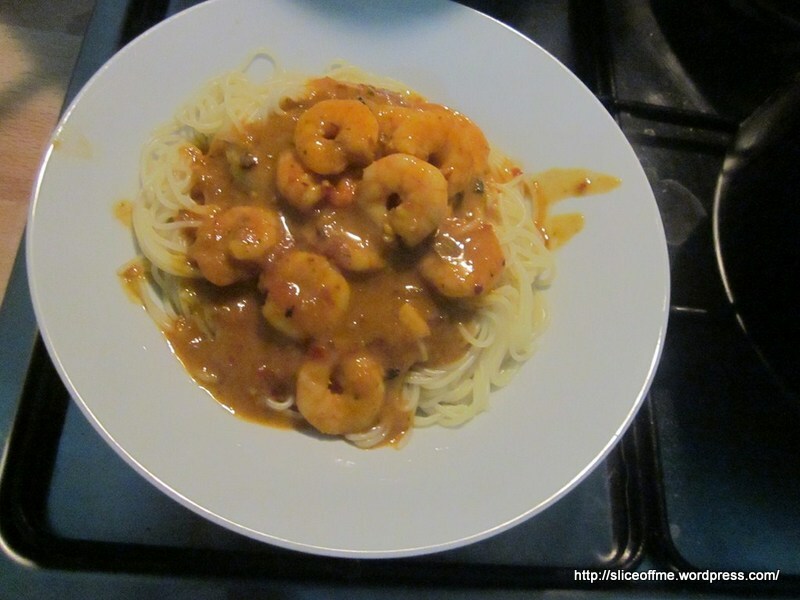 Serve the prawns in the Thai red curry paste and white wine sauce on top of the Angel Hair Pasta. In one word – Perfect ! And last but not the least my sweetheart, my patient hubby for buying me the ingredients and for being my time keeper for this dish, I am eternally in love with you …..